Printed yard signs provide a practical and effective way of promoting your message without spending much. 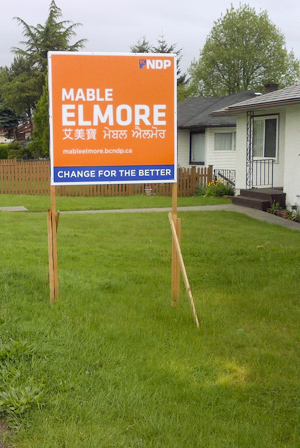 Apart from offering direction or educating visitors, a well-printed yard sign can bring a sense of visual appeal to your kerbside. And at Easy Street Print, we can help you print attractive full-color yard signs at a tiny cost. Which Type Of Yard Signs Can You Print With Us? point. With our vibrant color printing, your yard sign will just never go unnoticed. All our yard signs are made of durable, corrugated plastic that’s highly fade-resistant. There’s simply no amount of rain or sun that can destroy the message printed on this type of plastic. That means you can place your custom sign in the yard and leave it for the longest time possible without having to worry about replacing it. Why Choose Our Printed Yard Sign Service? For expert yard sign printing, contact us via our telephone hotline number or e-mail to request a quotation. Feel free to make inquiries or raise any concerns regarding our sign printing service to our support team too.